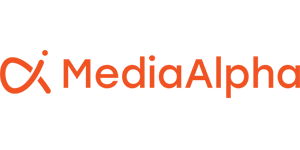 MediaAlpha, the emerging leader in performance-based digital advertising technology, today announced that it has introduced Direct-to-Quote (DTQ), a powerful new technology solution that benefits consumers, advertisers and publishers. Direct-to-Quote provides a better online consumer experience that yields higher conversions and greater advertising ROI without a commensurate increase in cost or an unnecessary drain on an insurance company’s technical resources. MediaAlpha has worked with leading insurance companies to implement its Direct-to-Quote technology solution through its MediaAlpha Demand Platform. This is the only technology that enables consumers to provide their insurance application information once to get quotes before they apply and buy. Direct-to-Quote improves the continuity of the consumer experience by leveraging quote application data from a consumer and pushing the consumer farther into the carrier quote application funnel. Insurance advertisers can seamlessly combine the benefits of real-time, programmatic media buying with the enhanced user experience and higher conversion rates offered by DTQ. Increased value from existing advertising inventory channels, including from sources outside the MediaAlpha Exchange. A white paper on the benefits of Direct-to-Quote and the MediaAlpha Demand Platform is now available upon request. About MediaAlpha MediaAlpha is an emerging leader in performance-based digital advertising technology, reshaping how performance media is bought and sold. The company operates the MediaAlpha. Exchange, a transparent, RTB-enabled clearinghouse for insurance and other vertical-specific performance media. MediaAlpha is headquartered in Redmond, Washington and has an office in Los Angeles, California. For more information on MediaAlpha, please contact pr@mediaalpha.com or visit www.mediaalpha.com.